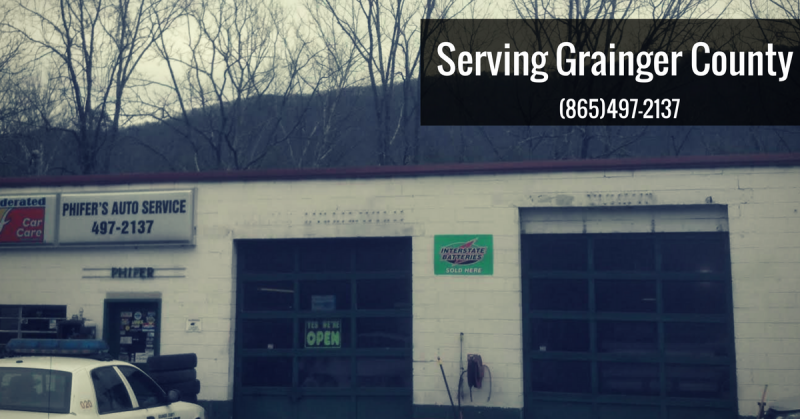 Phifer's Auto Service & Towing proudly been serves the towing and auto service needs for the Washburn, TN and surrounding areas. We pride ourselves on a strong work ethic and always put our clients first. We offer top quality at competitive rates. Our experience easily qualifies us to meet your towing and automotive needs with care and the best in customer service. No matter the time of day or the situation, Phifer's Auto Service & Towing is here for you round the clock! When you're broke down with a flat or you have just experienced a wreck in the surrounding areas of Washburn, TN, we are on-call for you 24/7! We are located 10 miles from Blaine, TN and 16 miles from Bean Station. Count on Phifer's Auto Service & Towing to get you back to safety.